At Rod Martin's Complete Basement Systems, we specialize in crawl space problems of all types. We offer free crawl space repair quotes in the Colorado area, including areas like Aurora, Colorado Springs, Denver, Arvada, Thornton, Fort Collins, Boulder, Greeley, Longmont, Westminster, Cheyenne, Broomfield, Loveland, Commerce City, Parker, Littleton, Castle Rock. 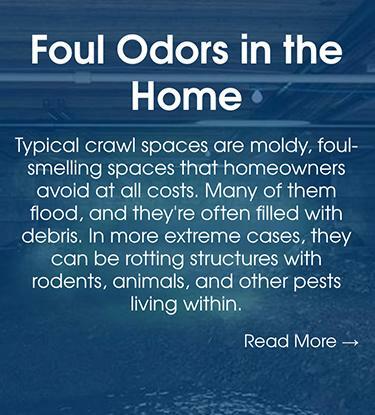 Typical crawl spaces are moldy, foul-smelling spaces that homeowners avoid at all costs. If your crawl space has any of the following, it's time to clean it up! 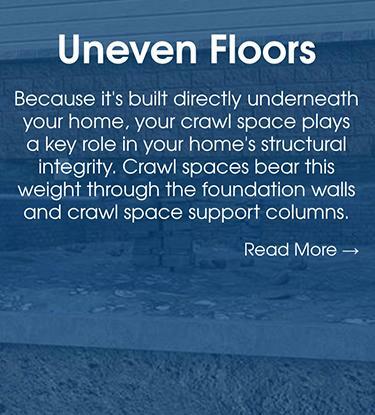 Sagging floor joists and girders are a sign that your crawl space structure is failing. 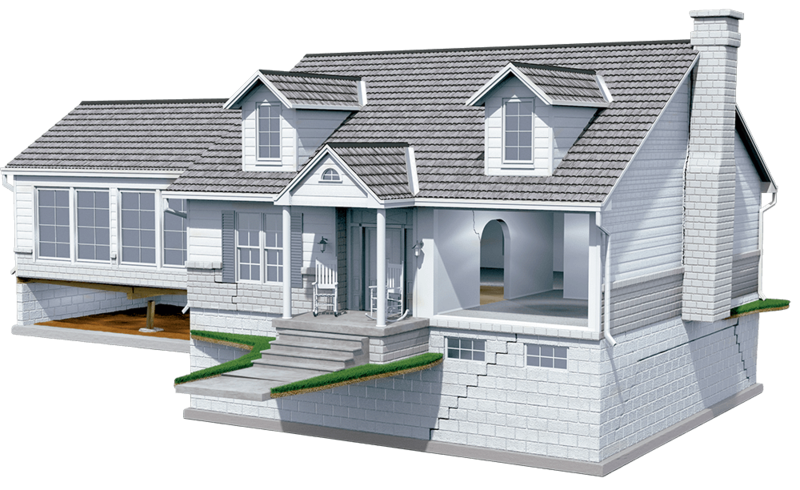 We offer SmartJack® Support Posts that provide extra stability to your home. Unsealed crawl space vents mean your home is vulnerable to outdoor elements, such as rain, pests, and more. Seal your crawl space vents with our trusted vapor barrier system. Are there musty odors coming from your crawl space? If your crawl space is not sealed from moisture and the outdoor, then the rest of your home suffers. 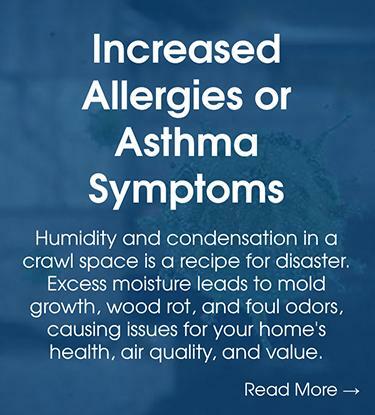 Moisture and humidity create the perfect setting for mold and rot, which will wear down the supports in your crawl space, weakening your home's structure and causing more damage. Wall cracks, floor cracks, or exposed vents make a crawl space vulnerable to pest infiltration. Take advantage of our encapsulation services, which effectively seals your crawl space! Poor air sealing, cracks, and exposed vents means moisture can easily enter your crawl space. Avoid mold growth and structural damage with our moisture control and encapsulation services. Increased crawl space humidity causes condensation and mold growth, leading to serious structural damage. So, we offer energy-efficient crawl space dehumidifiers! Moisture-filled crawl space insulation that is hanging and depleted no longer serves its purpose and is a target for pest infiltration. Upgrade to our energy-efficient crawl space insulation. If you have high energy bills, then you may be paying to treat the air in your crawl space. Effectively insulate and seal your crawl space with us! Clean Up Your Crawl Space. If you're having a problem with your crawl space, you've come to the right place. At Rod Martin's Complete Basement Systems, we specialize in crawl space problems of all types. Whatever your issue, we have the products and experience that you need to find the best solution. Encapsulating or sealing your crawl space can save money on energy bills, clean up a previously nasty area of your home, and provide you with valuable extra storage space! Rod Martin's Complete Basement Systems contractors provide professional crawl space repairs to Boulder, Aurora, Denver, Fort Collins, Arvada, Lakewood, Englewood, Longmont, Greeley, Cheyenne, Littleton, Loveland, Broomfield, Westminster, Brighton, Louisville, Parker, and many other Colorado areas.